St. Martin's Press, 9780312640248, 319pp. The life and work of Sylvia Plath has taken on the proportions of myth. Educated at Smith, she had an epically conflict-filled relationship with her mother, Aurelia. She then married the poet Ted Hughes and plunged into the sturm and drang of married life in the full glare of the world of English and American letters. Her poems were fought over, rejected, accepted and, ultimately, embraced by readers everywhere. Dead at thirty, she committed suicide by putting her head in an oven while her children slept. Her poetry collection titled "Ariel" became a modern classic. Her novel "The Bell Jar" has a fixed place on student reading lists. "American Isis" will be the first Plath bio benefitting from the new Ted Hughes archive at the British Library which includes forty one letters between Plath and Hughes as well as a host of unpublished papers. 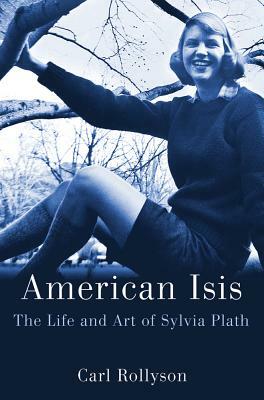 The Sylvia Plath Carl Rollyson brings to us in "American Isis" is no shrinking Violet overshadowed by Ted Hughes, she is a modern day Isis, a powerful force that embraced high and low culture to establish herself in the literary firmament. CARL ROLLYSON is professor of journalism at Baruch College, The City University of New York and the author of twelve biographies including Marilyn Monroe: A Life of the Actress and, with his wife, Lisa Paddock, Susan Sontag: The Making of an Icon. He reviews biographies regularly for The Wall Street Journal, The Minneapolis Star Tribune, The Washington Post, The New Criterion, and other papers. He writes a column every two weeks for bibliobuffet.com. He lives in Cape May Court House, New Jersey.